Based on an 18th century Italian design, this breathtaking reproduction chandelier measures over 5 feet in height and more than 3 1/2 feet wide. This beautiful beaded and droplet chandelier features a stunning glass stalagmite central column and has 24 lamp branches (8 on the upper tier, 16 on the lower tier). The iron frame has a wonderful worn patina. 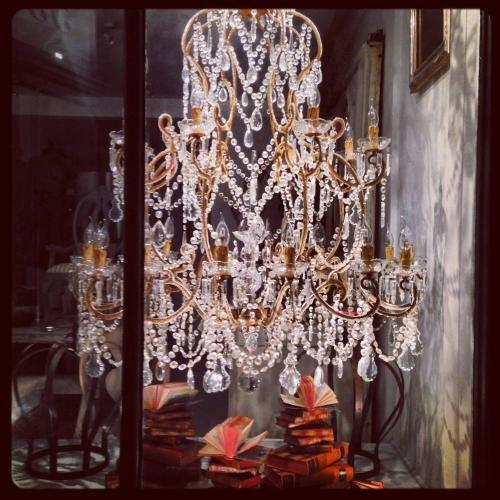 This incredible chandelier would suit a grand room with high ceilings or a magnificent galleried entrance hallway. Recently re-wired to the highest UK safety standards.